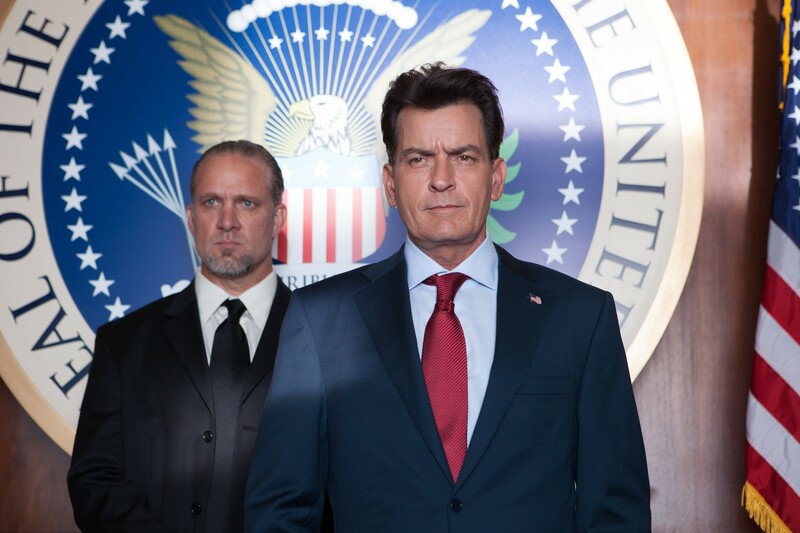 Charlie Sheen as The President. Charlie Sheen as The President with Jesse James in Machete Kills. HD Wallpaper and background images in the Machete club tagged: machete kills movie 2013 still charlie sheen carlos estevez the president jesse james. This Machete photo contains saman perniagaan and sut perniagaan. There might also be guaman, saman pakaian, sut, sut pakaian, hakim peguam bela, hakim peguam, saman tiga keping, and tiga bahagian guaman.